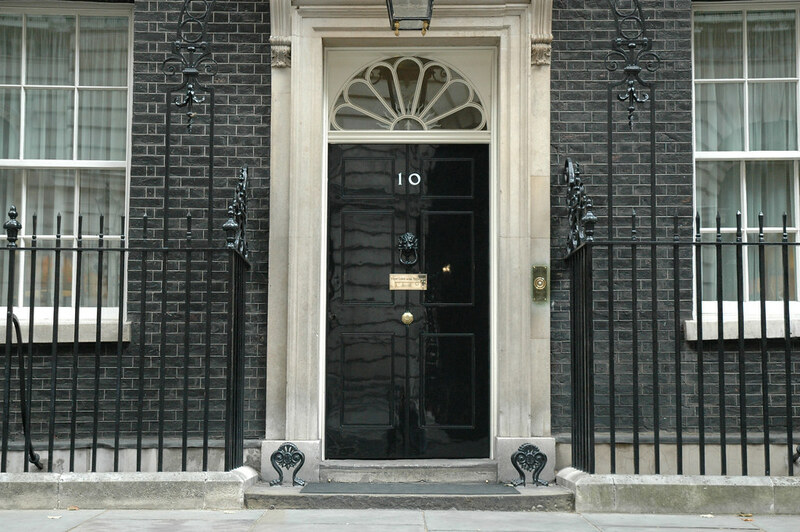 The Prime Minister and Chancellor have held final meetings with Deputy Prime Minister Nick Clegg and Treasury Chief Secretary Danny Alexander to finalise the Budget. Footage of the meeting of the ‘quad’ was released this afternoon amid reports that the Chancellor will scrap the 50p top rate of tax from next year and replace it with a new 45p rate. George Osborne hopes the new rate, which will take effect from April 2013, will raise more money and encourage growth and investment. By 2015 the Chancellor hopes to remove the higher rate altogether, according to reports. It is thought Lib Dem anger over the plan will be assuaged with a new “tycoon tax” intended to crack down on tax avoidance. Read more by NewsHound or more about budget. Once when Jacob was boiling pottage, Esau came in from the field, and he was famished. Jacob said, “Swear to me first.” So he swore to him, and sold his birthright to Jacob. Then Jacob gave Esau bread and pottage of lentils, and he ate and drank, and rose and went his way. Thus Esau despised his birthright. 45P allows both sides to claim victory: Clegg, “It would’ve been 40P if we weren’t in power.” Osborne, “It would’ve been 40P if they weren’t in power with us.” etc etc. It just strikes me that although both parties are getting bits we want, what about unemployment? Surely cutting NI contributions would encourage jobs? Hope not everything’s been pre-announced or I’m very disappointed. The thing I ask myself we are apparently cutting taxes all over the place and where is the money coming from? Apparently there are all these big infrastructure projects under way as well and the cuts to public services have not yet begun to hit so there is not much money coming from there yet. There is also the money for the NHS reorganization. Can I ask where this money is coming from – are the Coalition actually Keynesian big spenders. Balls has been going on for ages about a stimulus – are the Coalition actually implementing it, albeit in a cack-handed incompetent way? If the coalition wanted a cack-handed, incompetent stimulus package, they’d just cut 2.1% off the price of luxury goods like Gordon Brown did. The theory seems to be that a 45p rate will raise more than the current 50p rate. Presumably someone in the Treasury has the figures to support this – if so, great. It’s not as if the 50p rate brings in very much money, so it is hardly the keystone of the tax system. Like any decent person should be, I’m more concerned with how much we’re doing to help the poor (by raising the threshold further and faster) than how much we’re punishing the rich. Any word on that, Mr Hound? The Treasury said the 50% tax would bring in a lot when introduced (and will not know accurately anyway). I assume if Osborne wants another answer they will provide it. The Laffer Curve will probably be wheeled out again as it always is when we want to cut top end tax. As for the 10000 then it will help some people – but most is taken up by the previous VAT increase. Also if you look at the IFS assessment you will see that it is not actually that good for the poorest and the biggest winners are not the poor at all. This threshold increase makes a good simple message but it actually is not that great at doing what it is supposed to. Its been two years now. We’re nearly halfway through the parliament. When will the public sector cuts begin to hit? The extra spending on stuff is probably because we’re borrowing something like £127 billion this year? So much for “too far and too fast” eh? If the leaks are true about Clegg and Alexander agreeing to the phased reduction of the top rate to 40p then all I can say is that they have at least retained the old Liberal quality of naivety, given the tax avoidance opportunity that will be created, especially since Vince is encouraging deferred bonuses through the FSA Remuneration Code. Will the last LibDem who fails to realise they are being taken for a ride please turn out the lights. Why in last years’ budget did George think it sensible to wait to see how much the 50p tax rate raised before making a decision on its reduction (his words not mine) but now announces its reduction before the tax year is over, before tax returns have been submitted, before many banks have paid their bonuses in respect of the current tax year and before taking account of how many bonuses may have been deferred into subsequent years as a result of the FSA Remuneration Code or leaks about the reduction in the rate? Why are Clegg and Alexander are prepared to accept such behaviour and broken undertakings by Osborne? Where are the checks and balances to such behaviour? The first year will be anomalous because renumeration packages were brought forward to escape the introduction of the tax. This means the treasury report will be highly speculative i.e. politically malleable. I suspect the reason why Osborne is desperate to cut it now is because the longer it is in force the more evidence there will be that it actually raises significant revenue. He wants to cut it not because it doesn’t work but because it does.Of course the great advantage of having this negotiation with the Lib Dems now is that it proceeds on the probably false basis that the 50p rate doesn’t raise much revenue. This will diminish the value of the concessions the Lib Dems are able to secure in order to support dropping the rate. AndrewRMar 20 – 1:26 pm……………… Am I being too cynical?…………. BTW, It’s almost 31 years ago, to the day, that the original ‘Gang of four’ (Roy Jenkins, David Owen, William Rodgers and Shirley Williams) pledged to “reconcile the nation” and “heal divisions between classes”. How aspirations have changed; the new ‘Gang of four’ (Cameron, Osborne, Clegg and Alexander) seem determined to “divide the nation” and “create divisions between classes”. Yor are not being too cynical – my guess is that the likely deferred reduction in rates plus the impact of the FSA Remuneration Code will actually push income into later years – so that the Tories, who base much of their economics on the premise of ceteris paribus will be able to argue about the success of their policy in increasing the tax take. Osborne is first and foremost a political animal never having held a job outside Tory politics – just like Cameron if you exclude his spinning for Carlton and Michael Green. I’m afraid Clegg and Alexander (previous career high being spinning for the Cairngorms) are amateurs playing against serious machine politicians. A document which indicates the year of greatest spending reduction as 2011, and that on average, each department will have 40% of the total cut taking place in the first year of the parliament. So, I would argue that the cuts have ‘begun to hit’, so there is increased flexibility for decisions made towards the second half of the parliament, particularly on matters like raising the personal tax allowance.